I have been working for 19 years with Media Connect, a leading book promotions firm. I had the pleasure of leading a panel of talented colleagues at last week's Book Expo America, the nation's largest book industry event of the year. This blog is terrific. Keep up the great work! What is the package and price that you are offering me? I recently published my book, Waireka, a historical novel set in nineteenth century New Zealand and I am indeed looking to increase my readership. However, funds are tight and I want to make sure I get good value for my money. Who Wins Or Loses With So Many Published Books? 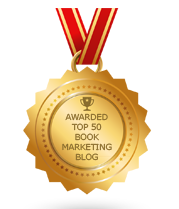 Are You Optimistic About Marketing Your Book? What Will Move An Author To Promote His Book? When Did I Turn Into A Curmudgeon? Can Time Be Your Book Marketing Asset? Have You Read The Book on the Bookshelf? How Would You Put A Home Library Together? Do You Need A Book Promoter's Thesaurus? Are We The Books We Read?